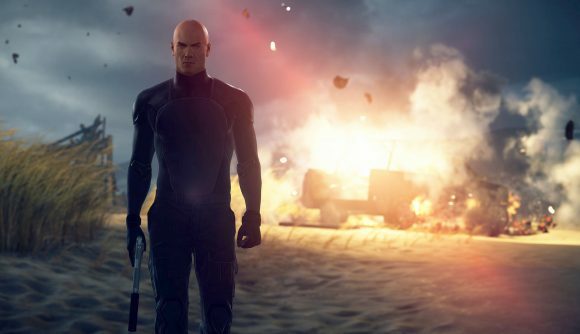 Hitman 2 is among the many major titles to make use of the controversial DRM service Denuvo. Or rather, it was, since the game’s latest update strips the protection layer completely. It’s part of an increasingly common trend for titles to remove Denuvo after release. Just a few days ago, Resident Evil 7 dropped Denuvo – two years after the original release. Resident Evil 7 was notable for how quickly it was cracked, and Hitman 2 was a similarly inauspicious outing for Denuvo. The game was cracked just a day after it launched early for those who pre-ordered, which means the Denuvo protection was broken before the game was technically even out. Don’t take that to mean Denuvo is useless, since various revisions of the protection layer have gotten cracked at wildly varying points in time. Recent games have seen the DRM broken anywhere from a few days to months after launch. For publishers looking to make use of Denuvo anti-piracy while pulling in those launch sales, it seems the gamble is still worthwhile. You can verify the removal for yourself on SteamDB, as caught by ResetEra. Notably, IO Interactive also pulled Denuvo from the previous Hitman shortly after splitting from Square Enix in 2017. If you’ve been holding off on the game, check out our Hitman 2 review. (It’s good, if you want the short version.) A recent free promotion brought the game’s concurrent player count up to a top ten Steam record. Whatever’s next for Agent 47, there is one less nagging detail hovering over his shoulder. Whether other Denuvo-protected games continue to follow suit remains to be seen.